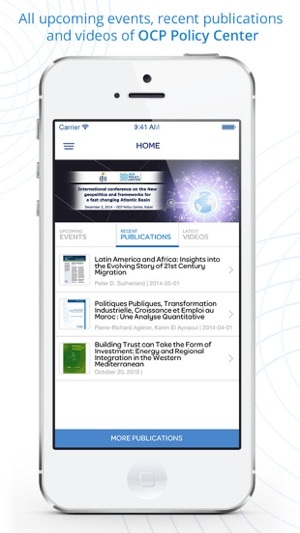 OCP Policy Center App provides direct access to all events and publications organized by the organization. 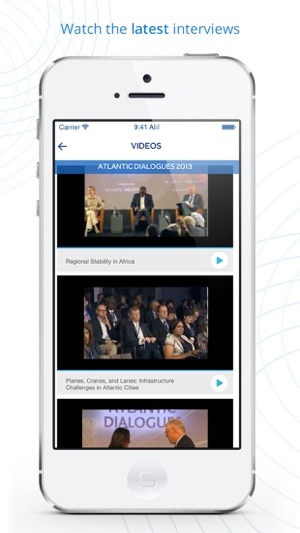 You can consult events’ programs, speaker lists, published articles and videos. 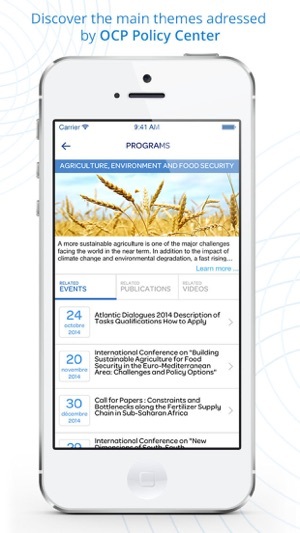 OCP Policy Center App also allows you to add events to your calendar and keeps you updated on all activities. 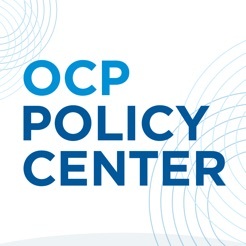 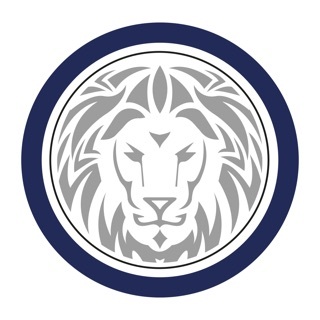 OCP Policy Center is a think tank that has the ambition to function as an open debate platform, in the spirit of a “public good”, a center for fact-based intellectual stimulation, an incubator for ideas, and a proactive source of proposals for decision-makers and all stakeholders. 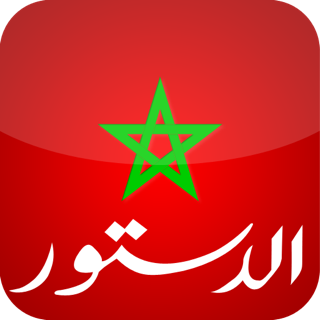 * Correction de bugs et amélioration de la stabilité. 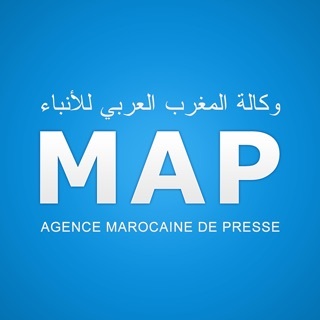 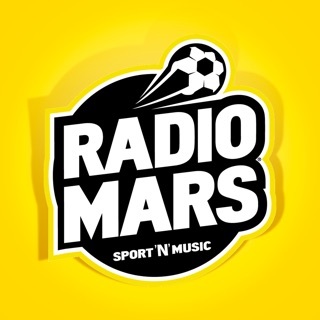 * Ajout de nouvelles rubriques au Menu. 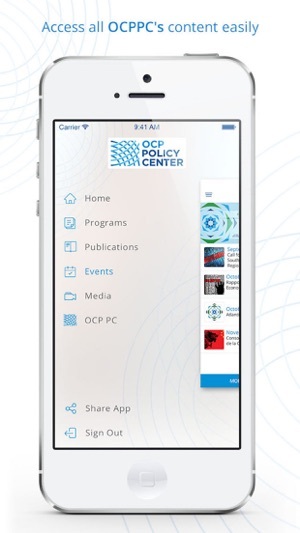 This application reflects the sense of easy and user-friendly navigation combined with all needed and relevant data related to OCP Policy Center's events and mission, in general. 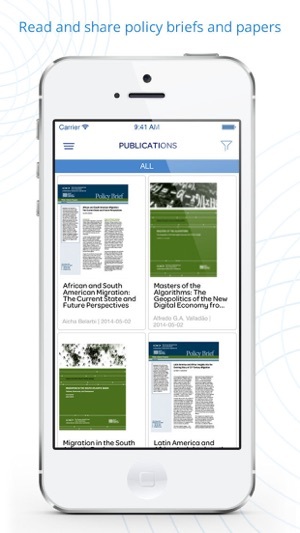 The app developer successfully built a useful and very good looking application.